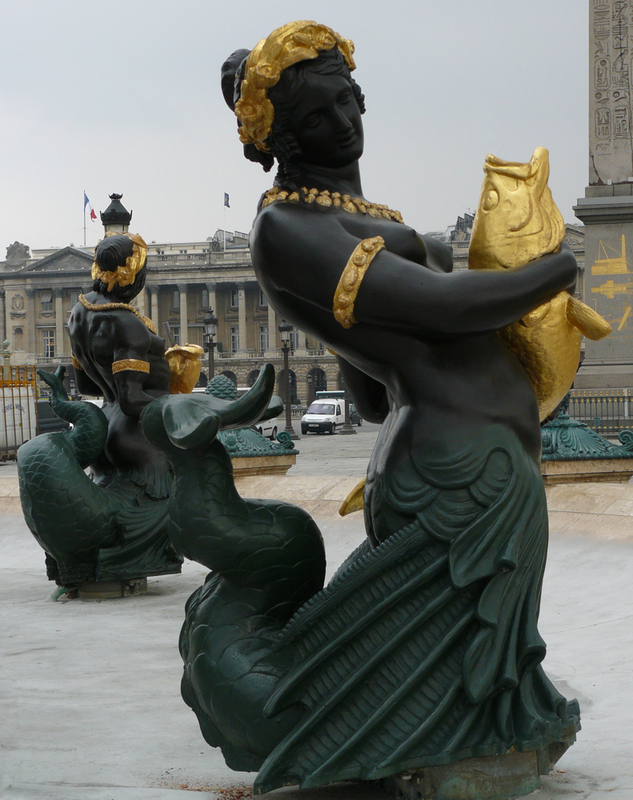 The Fountain at Place de la Concorde, with several mermaid statues. Photo © by Marie-Hélène Cingal. 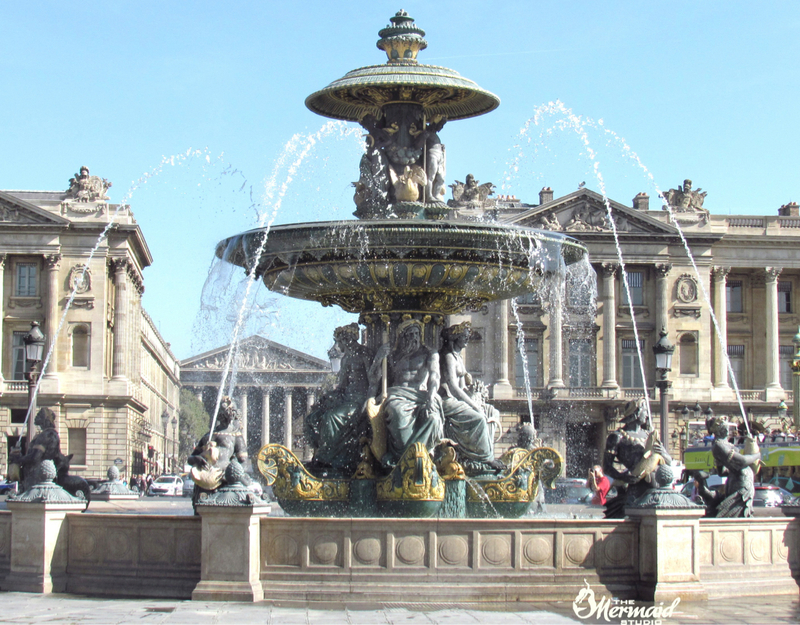 The two fountains were designed by Jacques Ignace Hittorff, who was commissioned by King Louis-Philippe in 1831 to design the entire Place de la Concorde after Egypt gifted a 230-ton obelisk to France. The project was finished in 1840, with the help of 12 sculptors. 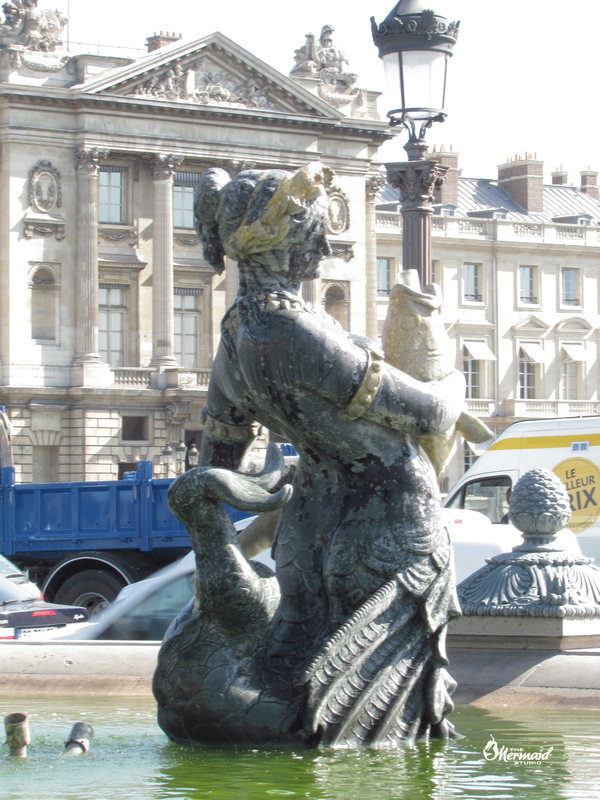 The central figures were created in cast-iron, whereas the 12 triton and mermaid statues (6 in each fountain) were cast in bronze. 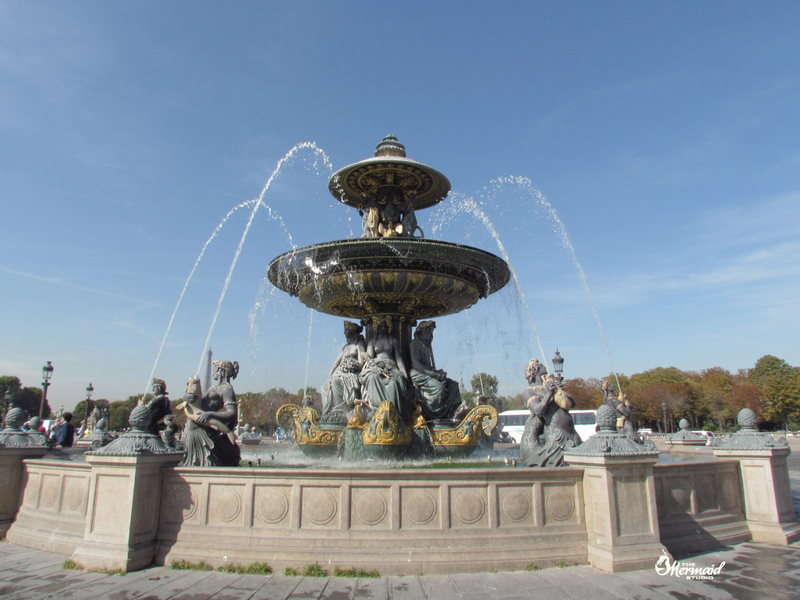 Place de la Concorde is located right by the river Seine, and is the largest square in Paris, with a rich history. 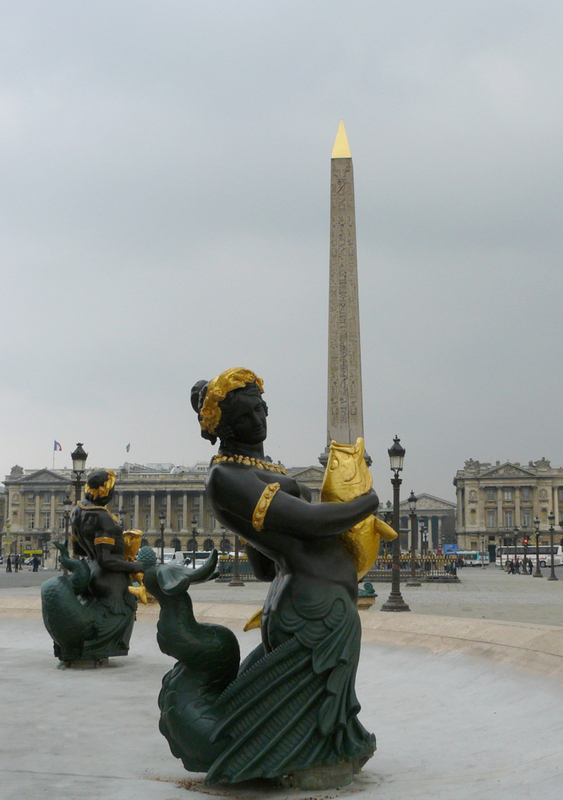 It was named Place de la Concorde in the hope of future peace and a cessation of guillotine beheadings. 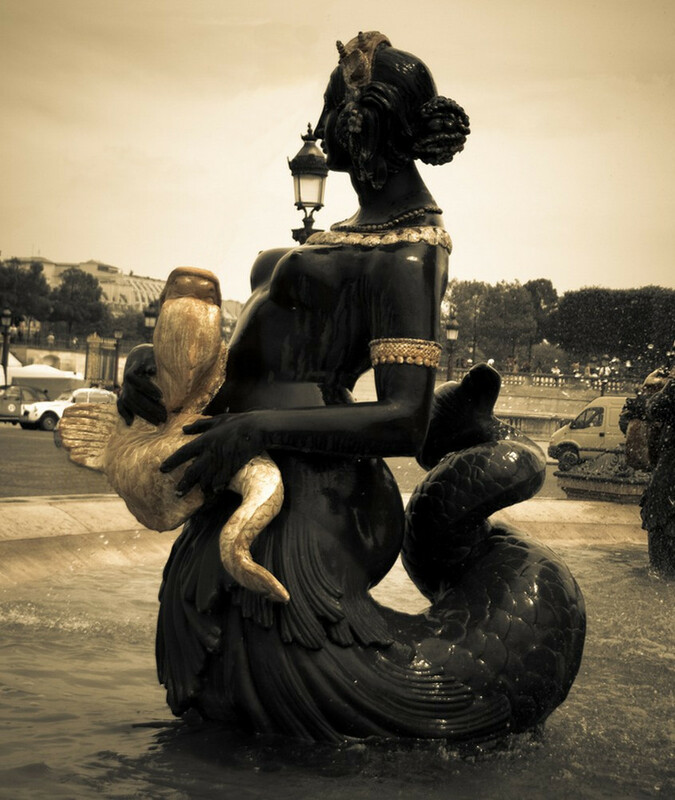 Mermaid and Triton at Place de la Concorde. Photo © by Marie-Hélène Cingal. 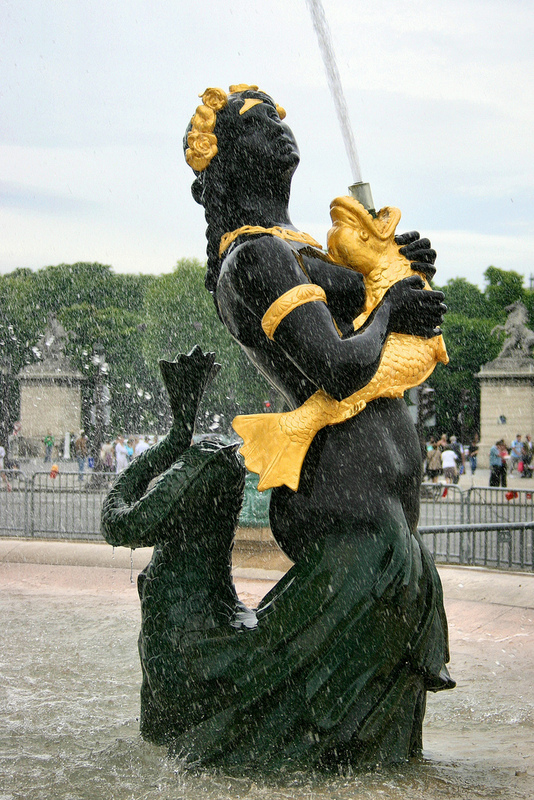 Mermaid in the fountain at Place de la Concorde. 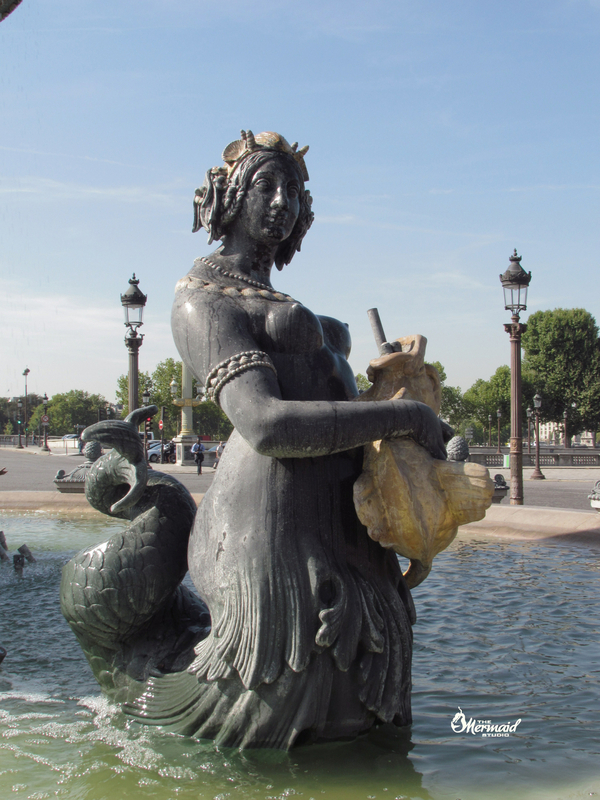 Mermaid in the fountain at Place de la Concorde. Photo © by Mica Moore. 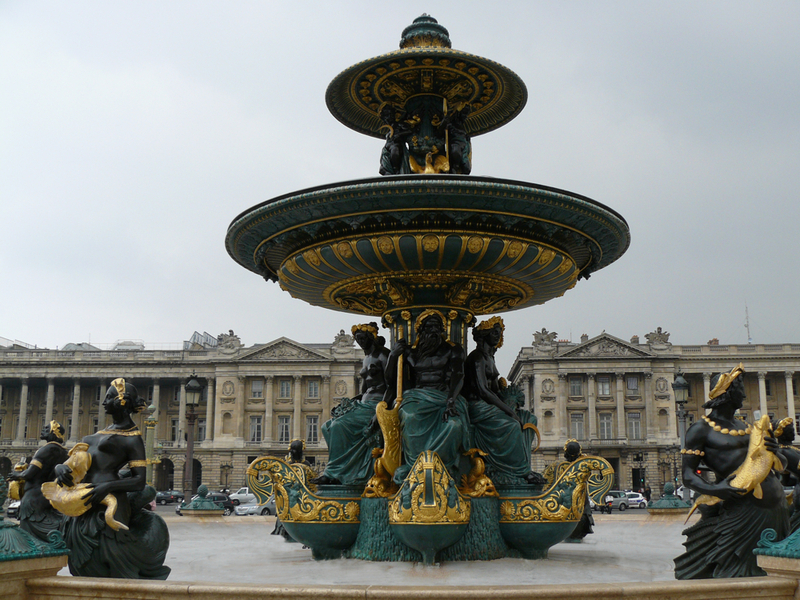 The Fountain at Place de la Concorde, with several mermaid statues. Photo © by Mica Moore. 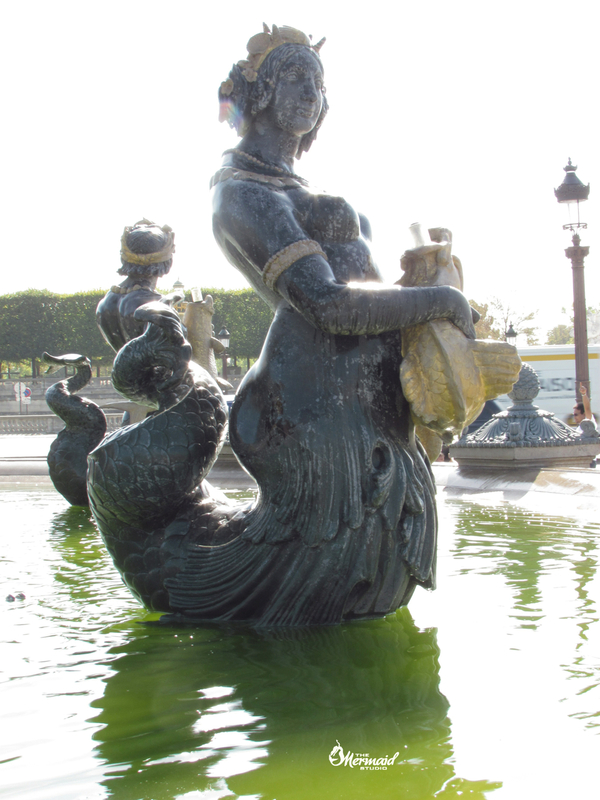 Mermaids in the fountain at Place de la Concorde. Photo © by Mica Moore. The fountains were inspired partly by Piazza San Pietro and Piazza Navona in Rome, both of which have fountains on either side of a central obelisk. Additional images: If you would like to help with additional photographs of these mermaid sculptures, please contact us. Photos must be yours, preferably 10 megapixel or better.